ladykayy: Hermes, oh how I love thee. I took this with one of my new camera apps and thought I'd share it! I'm finally able to display her! 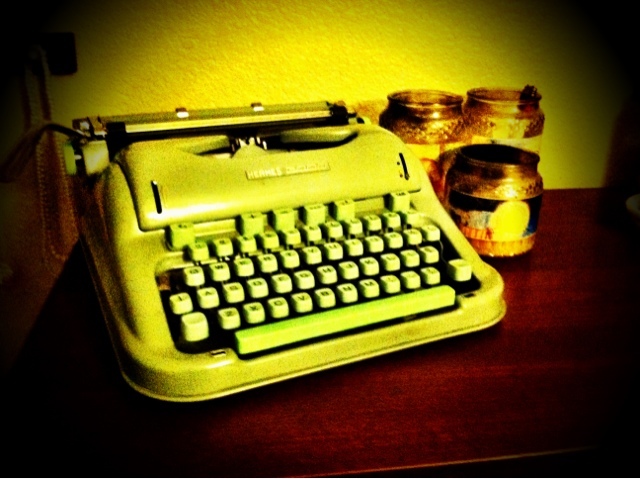 I am loving the vintage typewriter!! :) I cannot wait to pick one out for myself one day! It must be a pleasure to peck away at letters and notes on that beautiful machine! :) Rock on!